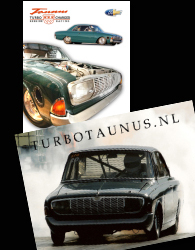 This 1965 Ford Taunus 20M TS Hardtop was built in Sweden and imported to Holland just a couple of months ago. It raced in Sweden with a Volvo turbo engine and was sold to another Swedisch guy in 1997. He wanted mote power and made changes to the chassis and put a 377 small block Chevy in it with a big turbo. 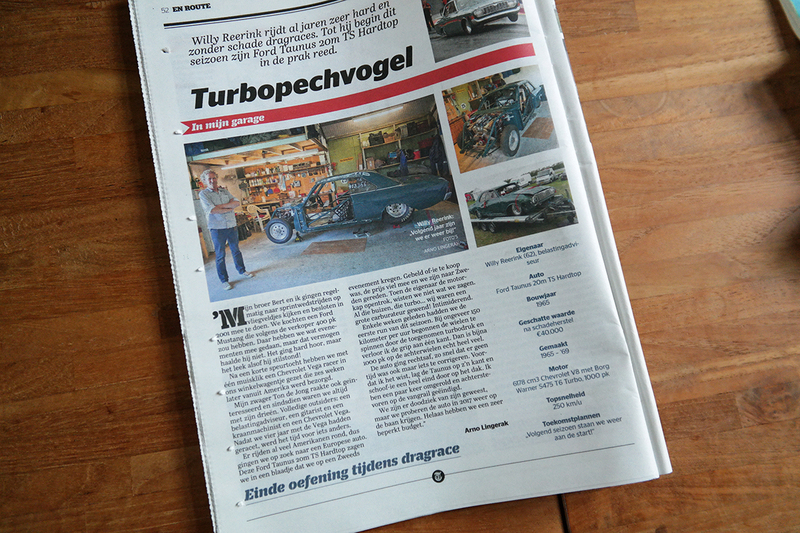 On Martin Lundkvist’s Dyno it showed 950 HP. 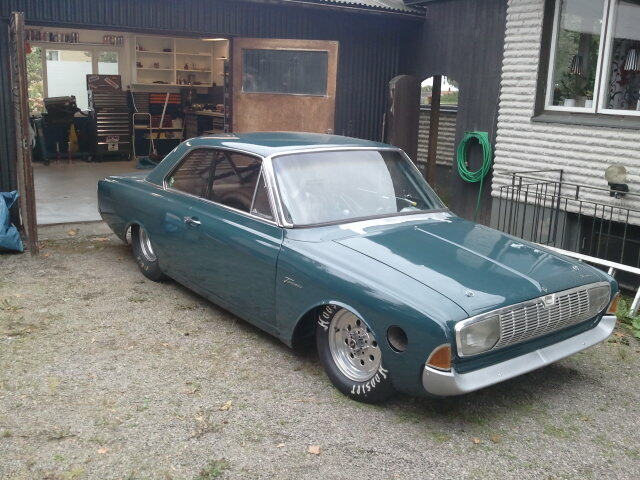 When the engine was finished the owner lost interst in dragracing and put it on sale. So it never raced with this engine. The car should run low 8secs and app. 250-275 kph. That is pretty fast. Next year we will race it in Holland, and maybe abroad. It will be an axciting year for us….Lets hope the car and I can handle all that power. Through this page you can follow our achievments.So stay tuned.